It was 1995 the year a grassroots movement led by herds of black and white cows first hit the national scene. Unified in their message, the organized Holsteins have spent the last two decades asking Americans to put down their burgers. Cowboy Phil and Kat - one of the real cows behind the "Eat Mor Chikin" campaign. Whether it's mowing down pastures--removing grass one clod at a time -- to spell out their plea, parachuting onto football fields, or lighting up office buildings, the cows' misspelled mission is simple and clear: "Eat Mor Chikin." 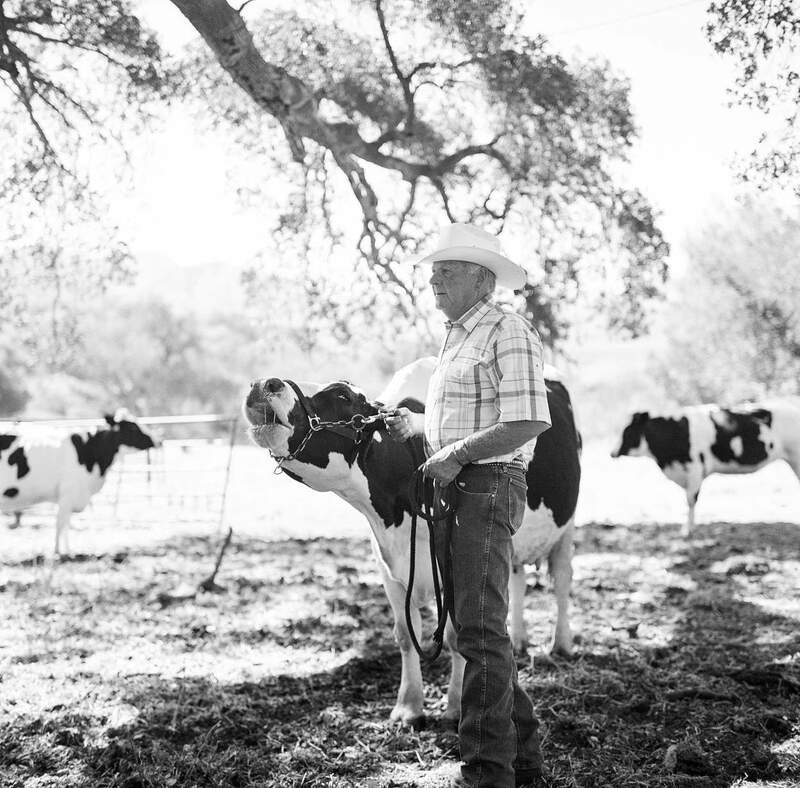 Celebrating the disruptive antics that have made them America's most beloved bovines for 20 years, for the first time, we invite you out to the farm to meet the four familiar faces where they live… and introduce you to their human friend and caretaker, Cowboy Phil.